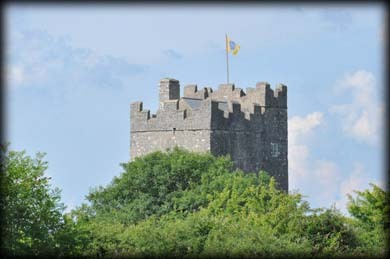 Since 1986 his fine Tower house at Dysert has been the home of "The Dysert O'Dea Castle Archaeology Centre". I would strongly recommend a visit to anyone interested in Irish antiquities. 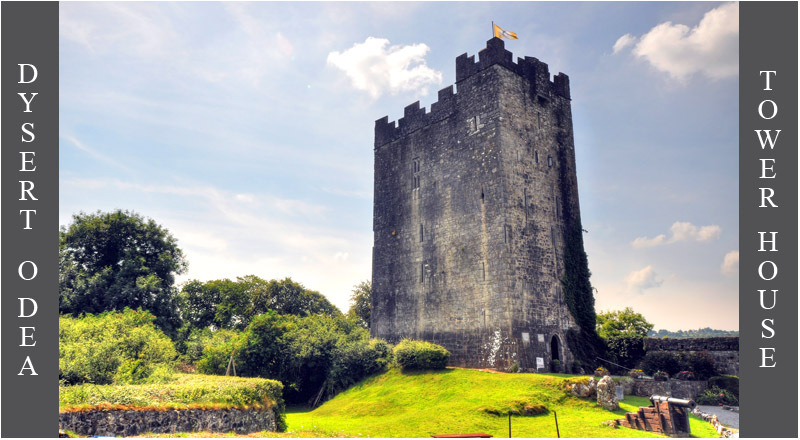 Surrounding the castle there is a four kilometre archeological trail with up to 25 original field monuments. These include a 12th century high cross dedicated to St Tola, a holy well, two romanesque churches, a round tower and two medieval stone forts. 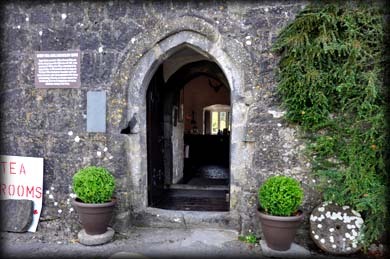 There is also an excellent collection of artifacts on exhibition in the tower house, including architectural fragments, quern stones and mill stones. 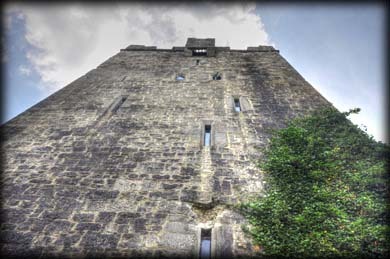 The five storey high tower house was built in 1480 by Diarmuid O’Dea, Lord of Cineal Fearmaic and was the home of the O'Dea chiefs up until 1692. The upper floors were badly damaged by Cromwellian forces in 1651. 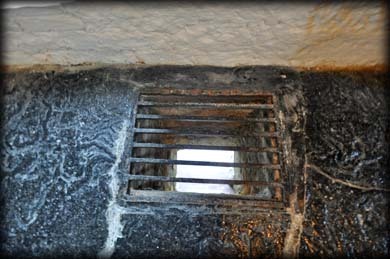 The entrance to the castle was protected by a machicolation at roof level and a murder hole, pictured below. 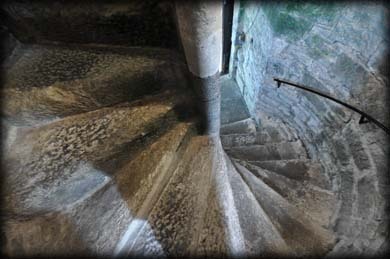 The visitor has access to all the floors including the wall walk. The tower house was purchased by John O'Day of Wisconsin in 1970 and has been authentically restored. Dysert is situated at the periphery of the Burren just south of Corrofin and Killinaboy. It is an ideal location for anyone wishing to visit the many archeological sites in the region. Situated: From Ennis head northwest on the N85. After 2.5 kilometres turn right onto the R476. Then 6.3K turn left (Signposted Dysert O'Dea Castle) Follow signs from here. Discovery Map 57: R 2827 8503. Last Visited Aug 2014.